Book One of the Sigmar Trilogy. It is a time of legends. The lands of the old World are wild and untamed, where the primitive tribes of men struggle for survival. In this time of peril, by virtue of his valorous deeds, a young man claims leadership of the Unberogen tribe. His name is Sigmar Heldenhammer, and his actions will change history forever. This is the story of how Sigmar rose to power, culminating in the Battle of Black Fire Pass, where men and dwarfs fought against the vast hordes of orcs in their quest to safeguard the future of the Empire. When the Time of Legends series was first opened up as a series of projects I might be interested in, there was only one character who leapt off the pages of the Warhammer worlds to grab me around the throat. And that was Sigmar. The man who united the tribes of men and founded the Empire. Of all the stories that could be told, that was the one I wanted to tell. To go back to the beginning of the Warhammer World (as far as most humans are concerned…) was a treat too good to pass up. My book was to be the opener for this new prestige series, so it had to be a beauty. When I sat down to plan the novel, it was with The Life of Sigmar beside me, and I fully intended the novel to only go as far as Black Fire Pass. I met with Lindsey Priestley and Nick Kyme before I started writing, talking through the themes and ideas and feel of the book, and that was an invaluable meeting as it set us on the right course for the book, something that’s helped throughout the writing of the other books. I always knew that this book would end at Black Fire Pass, but where I’d expected to wrap things up in an epilogue that told of Sigmar’s final fate, the book had other ideas. Where the first book had to follow events told in The Life of Sigmar, I felt that was a good guide, but also a bit of a straitjacket. You knew what was going to happen (sort of) and could guess where the story was going next. I wanted to tell stories of Sigmar that you didn’t know, stories that were things you had never heard of. Suddenly, we only knew the beginning of his story. What happened throughout the rest of Sigmar’s reign? The more we looked at it, the more this looked more like a series of three books. 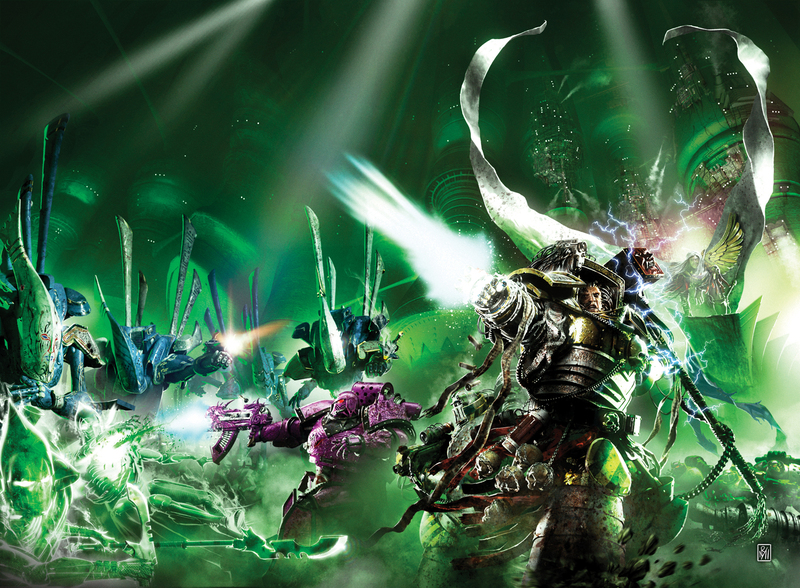 The tone and feel of these books, like the Heresy novels, needed to be different to a Warhammer book. These were of a different time and place, a wilder land without the illusion of safety that the Empire gives its people. I wanted to capture that darkness and fear lurking around every corner, where any moment could be a person’s last. I reread all my Conan, plenty of Gemmell and a pinch of Jack Yeovil to get my head in the right space and then wrote the book like it was real, as though it was a historical novel, but one with orcs and dragons in it. I wanted Sigmar and his world to feel real within the context of a fantasy setting, to really drive home the humanity of the soon-to-be Emperor. In the current Fantasy setting, Sigmar is a god, but I needed to explore his humanity, what made him tick and what drove him to found the greatest empire of man in the Old World. What lay at the core of the man behind the god? Much of Sigmar’s history is written in big, bold brushstrokes, but I wanted to see the truth behind that, the small, incidental details that history forgets, but are vital to understanding the character. It also gave me a chance to ask (and, in some cases, answer) some of the nagging questions that hang over his rise to power and godhood. Early on in the process, I knew the answer to the most fundamental question of Sigmar’s story. What happened to him when he left the Empire and where did he go? But I’m getting ahead of myself. I’ll save talk of that for later.